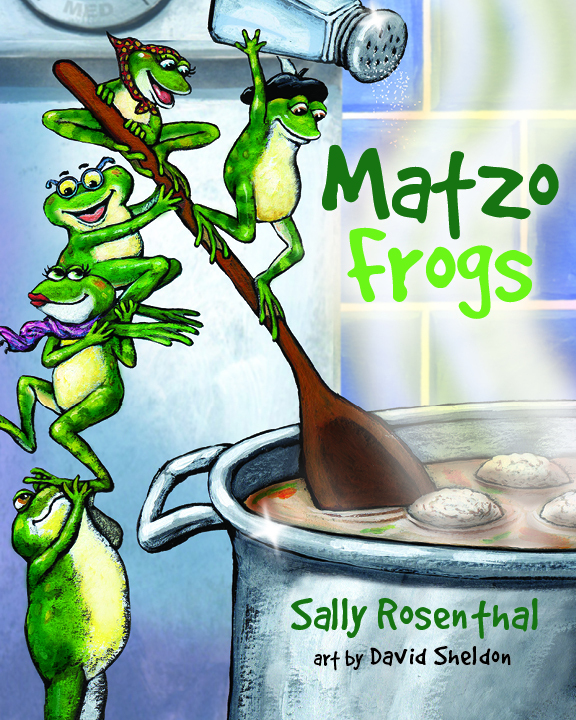 Mazel tov to Matzo Frogs by Sally Rosenthal with illustrations by David Sheldon. It made the “best Jewish children’s books of 2014” list published by Tablet Magazine. The frogs and the book are at NewSouth’s house. Read more about Matzo Frogs on the official NewSouth Books page, or find a copy at your favorite bookstore. 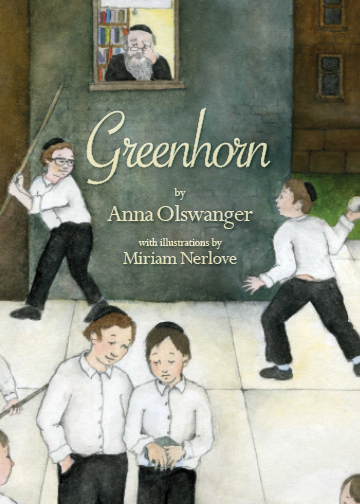 Greenhorn, a new movie based on author Anna Olswanger’s illustrated book of the same name published by NewSouth Books, premiered this past October in special showings at the Museum of Tolerance in Manhattan. Greenhorn tells the story of Daniel, a young Holocaust survivor who arrives to live at a New York yeshiva in 1946. He is befriended by Aaron, who stutters, and the two boys bond in the face of taunting from the other children. Daniel carries with him a mysterious box that he believes is his last connection to his family, which he’s ultimately able to let go of through Aaron’s support. The story is a fictionalized version of a recollection Ms. Olswanger heard in the 1980s from Rabbi Rafael Grossman of Englewood, who was then the rabbi of Baron Hirsch Synagogue in Memphis, where she lived at the time. … Rabbi Grossman was the little boy with the stutter. … Since the book’s publication in 2012, readers have responded to other poignant aspects of the plot. The Stuttering Foundation of America honored Greenhorn, and the organization’s director, Jane Fraser, arranged for the film’s showing at the Museum of Tolerance. The young actors take a bow after the Museum of Tolerance panel discussion. 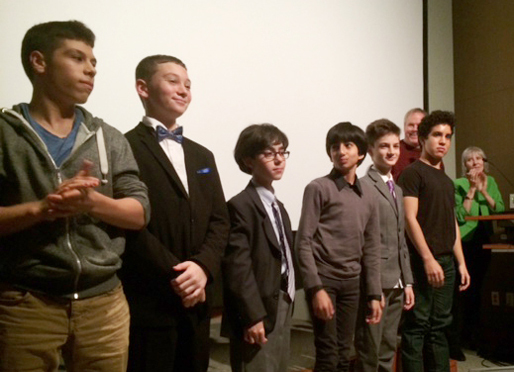 Left to right: Matthew Oliva (Bernie), Leo Hojnowski (Aaron), Tim Borowiec (Ruben), Zane Beers (Irving), Giorgio Poma (Daniel), Zaki Sky (Hershel). In the background: Tom Whitus (director) and Anna Olswanger (author of the book). Photograph by Tanya Beers. Read more about Greenhorn from the Jewish Standard, or from the official Greenhorn movie site. Greenhorn is available in hardcover and ebook from NewSouth Books, Amazon, or your favorite bookstore. Professor Craig Darch got a chance to show off his lively prose style when he was asked to be a Visiting Scribe by the Jewish Book Council. 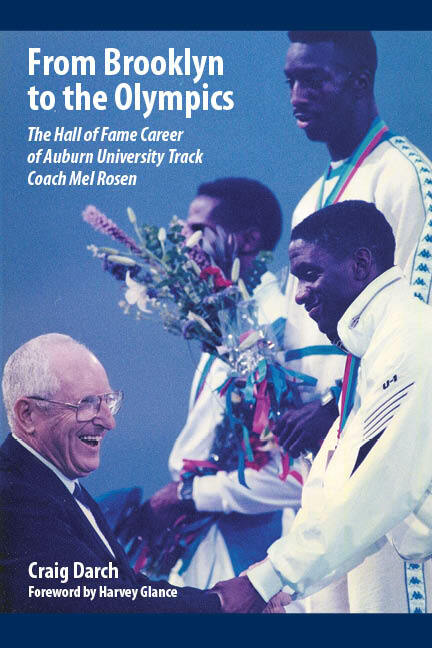 The author of From Brooklyn to the Olympics: The Hall of Fame Career of Auburn University Track Coach Mel Rosen, was featured on the blog The Prosen People the week of September 15-19. Mr. Darch wrote two blog posts pertaining to his authorship of the Rosen biography. In the first post, “How I Got Interested in Writing the Mel Rosen Biography,” the author reflects on his childhood in South Bend, Indiana, growing up in a family of sports fans who loved discussing the achievements of Jewish athletes. He describes a chance encounter with Coach Rosen that led to his decision to write the book. The next post, “My Parents’ Legacy, My Library, and the Mel Rosen Biography,” describes Darch’s extensive personal library of Jewish books, including titles on Jews and sports that were helpful to him in the writing of From Brooklyn to the Olympics. Darch’s family history combining love of good sports tales and of the printed word coalesced into the inspiring biography of Mel Rosen he was destined to author. From Brooklyn to the Olympics is available in hardcover and ebook from NewSouth Books, Amazon, or your favorite bookstore.